After having my first son I realized I had a bag fetish. Not just any normal handbag like most girls do but a changing bag fetish. I love the various styles and patterns Pink Lining have each season and to keep them rotating depending on what we have planned for the day. 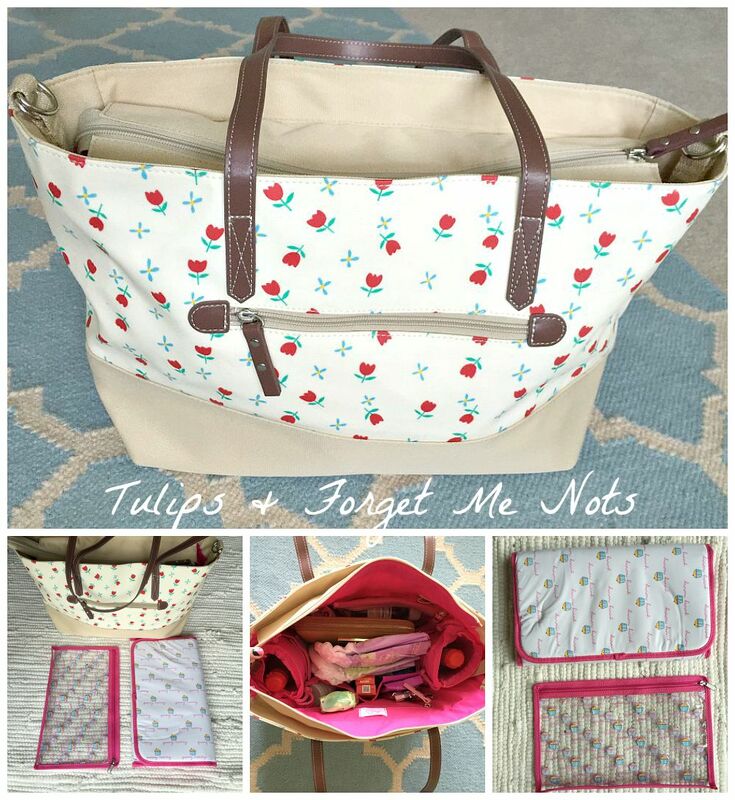 This gorgeous Notting Hill Tulips and Forget Me Nots tote is one of my new favorites. It was larger than I thought which was a huge bonus as I have two tots and they need to carry lots of stuff. I was first drawn to this pattern because I could easily use it for my own handbag when the kids weren’t with me. I was sick of putting my wallet in the changing bag and then in my own handbag and half the time forgetting it all together because it moves that much. Now, I don’t have to worry about this as this bag goes everywhere with me. It’s the perfect changing bag with a clear zip lock bag that comes to store your necessities in and easy to see through so you aren’t digging for that sudocrem at the bottom. It also comes with a lovely Pink Lining changing mat for those on the go changes. My favorite part of the changing bag is that it has two bottle holders. Could easily be used for twins or in my case two tots water bottles. I think all changing bags should have this. There are numerous side pockets to store tissues, snacks or your wallet. The deep middle is great for extra clothes, pullups and wipes for us. I really could pack in so much as you can see below and still have a ton of room on top. I got really excited about the space as we travel a lot and having just got back from our summer in the states I realized I need a good carryon bag for our next trip instead of carrying two smaller diaper bags. It just got too much to juggle by myself. This will be the perfect traveling carryon for the kids next time we fly. As you can see it really does go everywhere with me even if its a quick trip to the store. 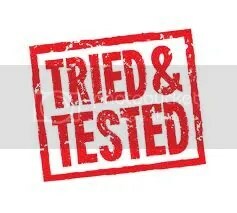 I used it the other day with my laptop and notebooks in it and worked in a cafe for the day. It stand up on it’s own which makes it easy to pull notebooks and paper in and out of it. The lady next to me ask me where I got it and was impressed when I said it was my kids changing bag. It sits perfectly on our boogie board between B’s feet and the basket underneath MM but you could also get straps to strap it to your stroller too. I find there are so many varieties out there for changing bags but I really prefer and love the tote style changing bags. They are more versatile and you can continue to use them for yourself long after your babies grow up. 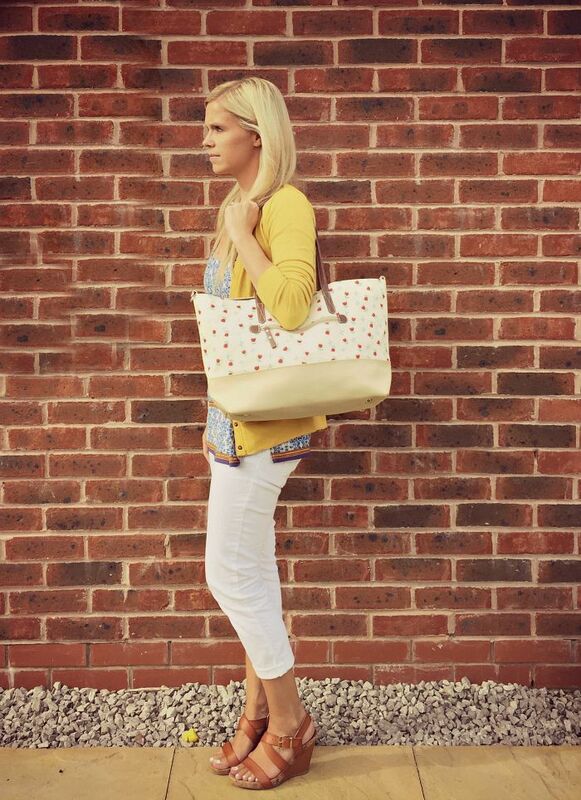 This tote comes in four patterns and designs and they are always coming out with new patterns too, so keep watch. You wouldn’t even know it’s a changing bag. Check out Pink Lining new Fall line and their children’s section too. The little ones have so amazing backpacks and lunch boxes too. 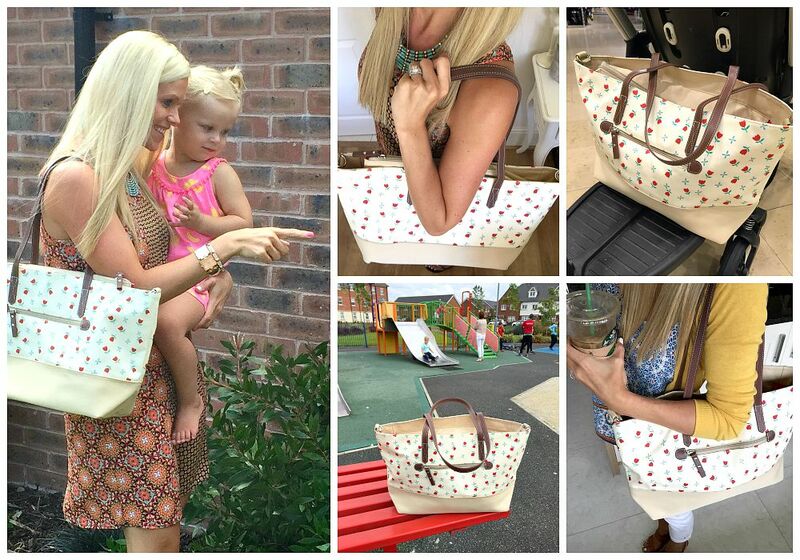 *I am an ambassador for Pink Lining as part of that they have sent me this gorgeous bag but all opinions, photos and experiences with their products are honest review and of my own. They have four different patterns and designs too and there are a few bigger and smaller bags to choose from but I really do love this one. Thanks Lauryn. Thanks Donna, it is the perfect go to bag for everything. I swear. The print is even prettier in person too. I would not have guessed it was a change bag!! Have Pink Lining changed their strategy and design slightly? I’ve always liked their bags but found them a bit too mumsy for me, personally. This is lovely though. 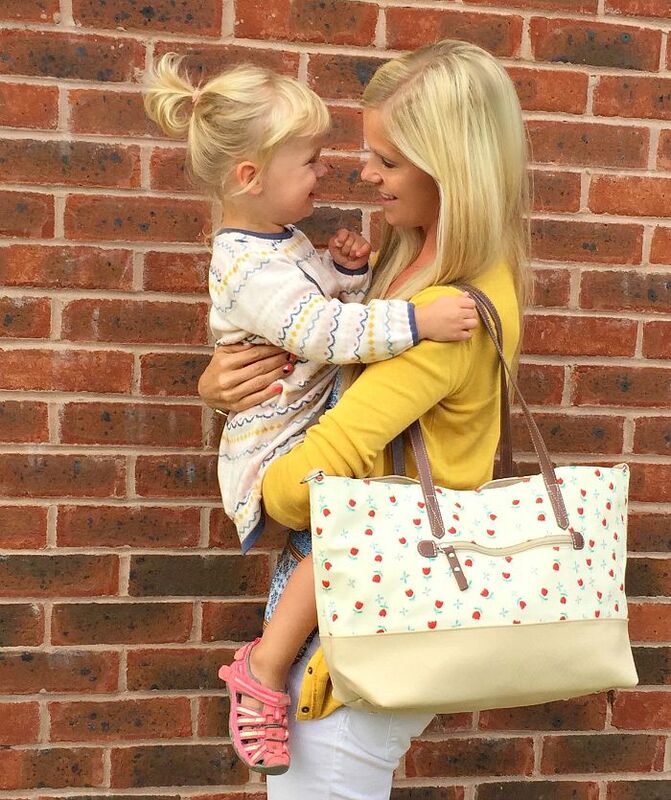 No they still have the range of Mummy bags but they have a ton of totes, holdalls, and other amazing styles that I just adore now. They have more less baby and more momma patterns now too. Check them out Rachel. (sneaky but I am giving away one at the end of the week). keep watch. That is really pretty! I think it’s amazing the variety of styles and designs that changing bags come in now. Much better than something plain and a bit boring. Some can look like diaper bags too if you know what I mean and then you can’t use them for anything else. I love the new ones these days and the patterns are so lovely from Pink Lining.